PN Netanyahu reportedly considering canceling trip to Paris Peace Forum due to the fact that he won't be able to meet Putin. Prime Minister Binyamin Netanyahu is considering canceling his trip to the Paris Peace Forum next week, officials in the Prime Minister's Office in Jerusalem said on Tuesday. French President Emmanuel Macron will host more than 100 world leaders in Paris on November 11 to mark the 100th anniversary of the end of World War I. In addition, an initiative to improve international cooperation and governance will be launched at the forum. Netanyahu was scheduled to fly to the conference on Saturday night, but may cancel the trip due to the fact that it will be impossible for him to meet with Russian President Vladimir Putin during the convention. Sources in the Prime Minister's Office said on Tuesday that the structure of the conference, the tight schedule and the absence of side rooms create conditions that are not conducive for side meeting between leaders. 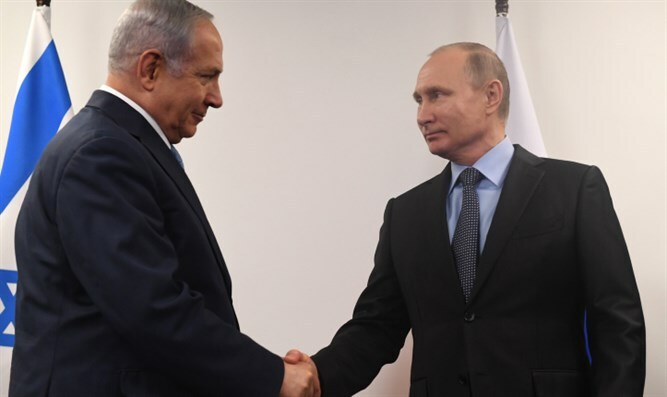 Last week, a senior Israeli official indicated that Netanyahu and Putin could meet in the coming weeks to discuss the situation in Syria. Kremlin Spokesman Dmitry Peskov later said that Putin’s agenda for his November 11 visit to Paris does not include a bilateral meeting with Netanyahu, though he added that the two leaders may hold a brief conversation during the day’s events.